Nederlandstalige beschrijving is in aantocht. 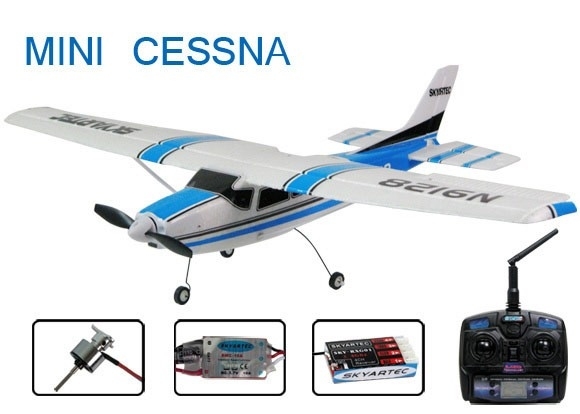 The Mini Cessna RC plane is relatively small – wing span of 540mm, but large at heart. This model is agile and will perform all kinds of aerobatic stunts and tricks. The Cessna's smaller wingspan allows it to be used in smaller spaces like parks and car parks making it much more usable then a larger wingspan aircraft. The 3CH Cessna trainer plane comes fitted with latest radio technology - 4Ch 2.4GHz LCD transmitter and receiver set allowing for precise maneuvers, no interference from other RC models and extended range. 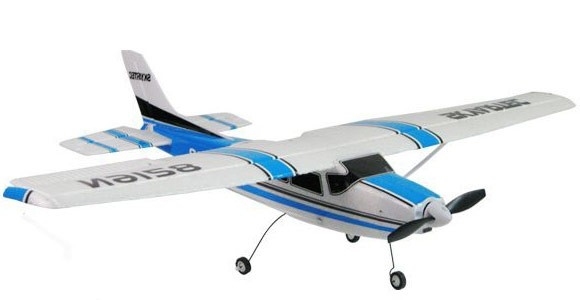 The model is made from very light and crash resistant EPO foam material making it an ideal model for a beginner learning to master the skills necessary for flying. The power unit of this trainer plane is a brushless 1822 8000KV motor, taking power from the supplied 3.7V 450mAh LiPo battery via a brushless 10A ESC. The flaps are controlled by 2 x 3.7g servos all factory pre-fitted and ready to use. 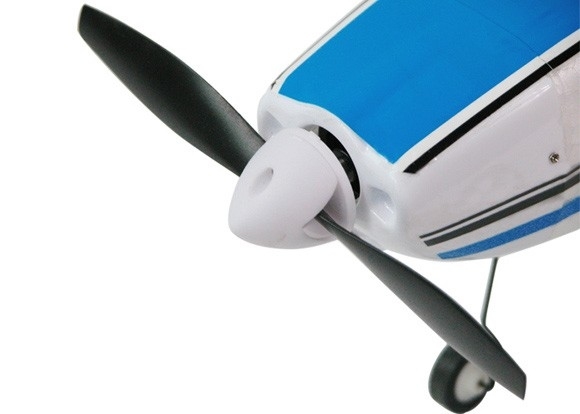 This plane will be best suited to a beginner to RC flying or a pro pilot looking for a bit of fun. The model comes 80% factory assembled and only minor work like attaching the wing and landing gear is required. All the bits you will need to fly this model are included in the pack apart from 8 AA batteries for the transmitter.